I now offer the full line of BARSKA products. Come to Roger’s Gunsmithing for your needs and wants. We keep our prices down by not having a large inventory so you do not pay for the investment, insurance and other the expenses of a rack full of guns and display cases full of accessories. Simply tell us what you want and we will get it for you at the best price. If you are not exactly sure of exactly what you want we will give you a wide selection to choose from. 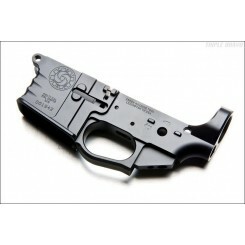 Our primary lower receivers are Cross Machine Tools (CMT). They are simply the best on the market. We also offer their Uppers and will do a complete build for you if you wish. Just contact us for a quote. As you know BARSKA optics are the highest quality optics that you can get. They have set the standard for optics in the field. Their lenses and electronics can not be beat and the prices are surprisingly low. Some people say that you just can’t do that for so little BUT BARSKA does it with style and precision! Here at Roger’s Gunsmithing we have seasonal specials on all of the BARSKA products at prices that we can not advertise. I will list some of them here but you will need to contact us for the special price. 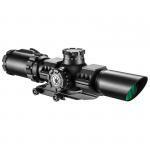 The Huntmaster is the perfect scope for your hunting rifle. The 3-9 is ideal for most of your hunting situations. The light gathering ability of this scope rivals its most expensive competitor and you can select a 40 or 50mm lense. 3-9×40 Huntmaster, Black Matte, Easy Shot, 1″ Tube, Waterproof, Fogproof and Shockproof. Fully Coated optics, Parallax-Free at 100 yards, 1/4 MOA Fingertip adjustments, Scope Caps Included. Perfect choice for serious shooters or hunters who want a wealth of features and performance but don’t want to spend a fortune. Limited Lifetime Warranty. The MSRP for this example is $100.00 and my normal price is only $49.99 BUT you won’t believe what I will let you have it for because you visited my website. Contact me for this special offer. Aks for the web price on the Barska Huntmaster of your choice. 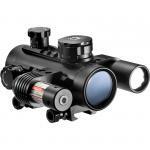 For you AR people the Barska Swat AR is the optics that you dream about. Now you can get it here at my special offer price just because you visited my web site. 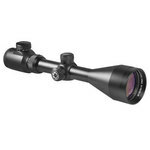 This rifle scope has a MSRP of $307.25 and I sell them for less that $150.00. That’s less than 1/2 price! BUT I’ll slash the price even more if you just contact me and ask for the web price of the Barska SWAT AR of your choice. Now I know that many of you love the DOT so look at what I have to offer. The 1×30 Electro Red Dot Sight with Flashlight & Laser from Barska comes pre-assembled with the flashlight and red laser sight attached to the Electro Red Dot via two included clamps. This red dot sight has a Cross Dot reticle with a finger adjustable rheostat for varying the light intensity of the cross dot. It has multiple, integrated, Weaver style, 7/8″ Picatinny tactical rails allowing customization of the scope with additional or alternative accessories. It has a 1/2 MOA click value for the windage and elevation turrets. Add in fully multicoated optics and waterproof construction and this 30mm tube is overflowing with features for the tactical shooter. What else can I say but WOW! The MSRP for this bad boy is $211.25 and again my regular price is more than 50% off at $99.99 but for the few that see it here it is even less. Just contact me and ask for the web price on the Barska AC11398.